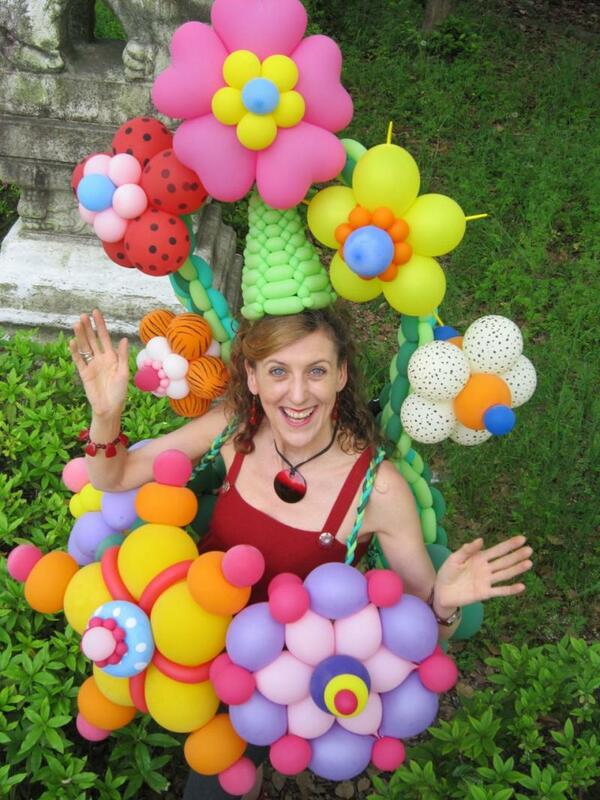 Balloons have a magical power to bring out the child in all of us, creating smiles and laughter, engaging the imagination and transcending language barriers in a rainbow of of colours and a menagerie of shapes. 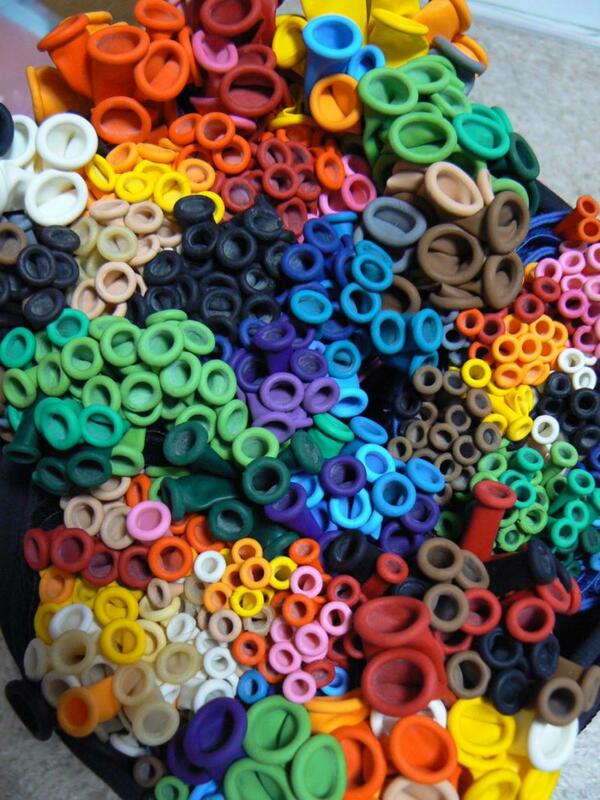 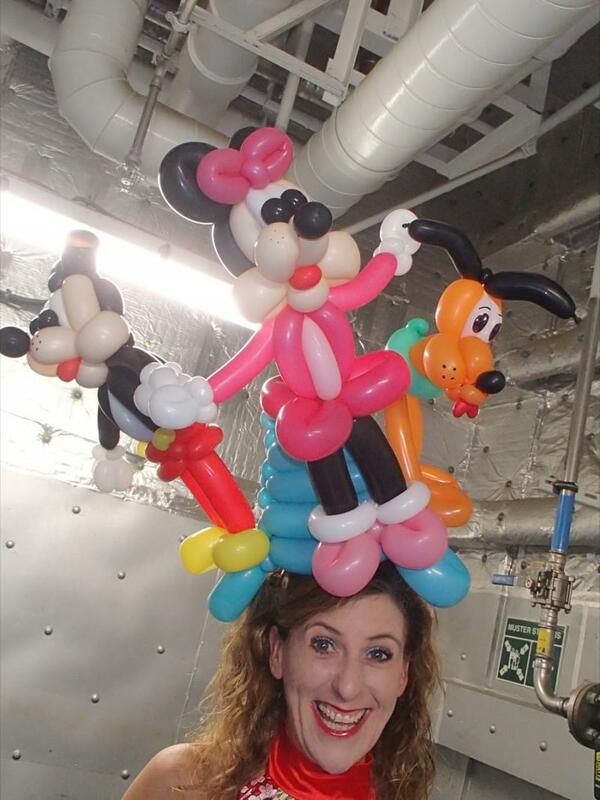 If your image of balloon art starts and ends with dogs and swords, you will be blown away by the intricate, beautiful and, most of all, humourous creations that Diane can conjure up, literally out of thin air. 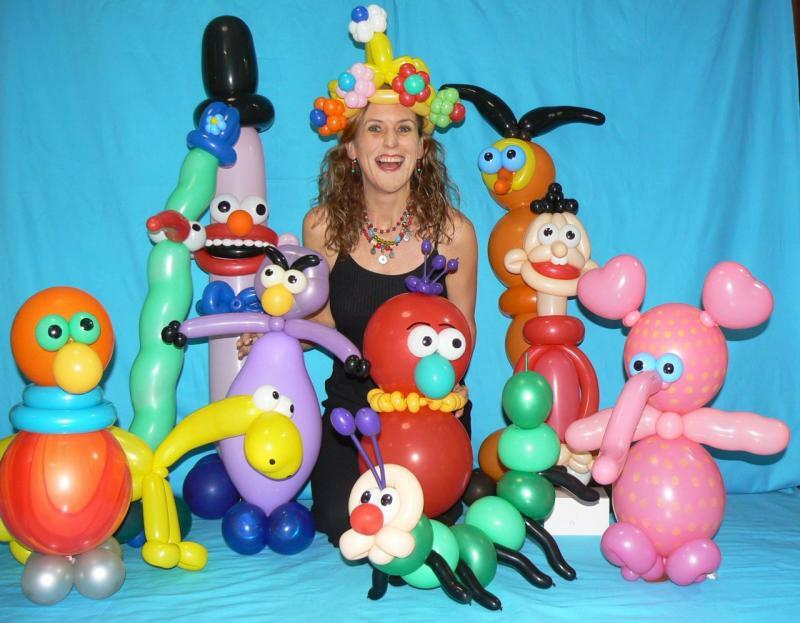 Diane started out as a balloon entertainer in 1996 and has developed her own original style in both the creations she makes and the cheerful, energetic performance that accompanies these creations. Offering an entertaining blend of balloon art, comedy, fun and silliness that invokes smiles, laughter and happy memories in people aged 1~101. 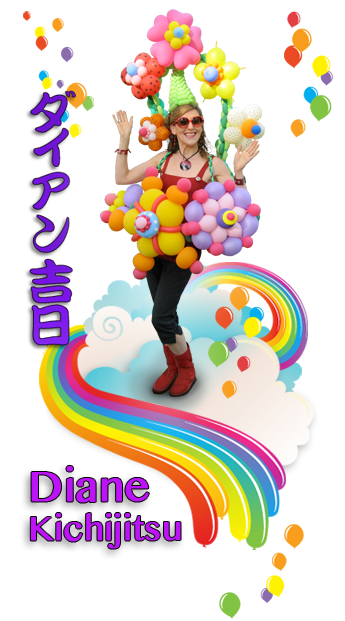 In Diane’s hands, the balloons are transformed into a colourful array of cute animals, hats, costumes and (interactive) games! 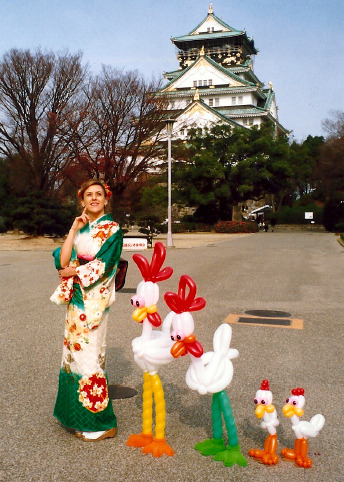 Diane offers a full 30-45 minute performance in which she creates a dazzling line up of delightful objects whilst drawing people in with a mix of humourous stories and entertaining audience participation. 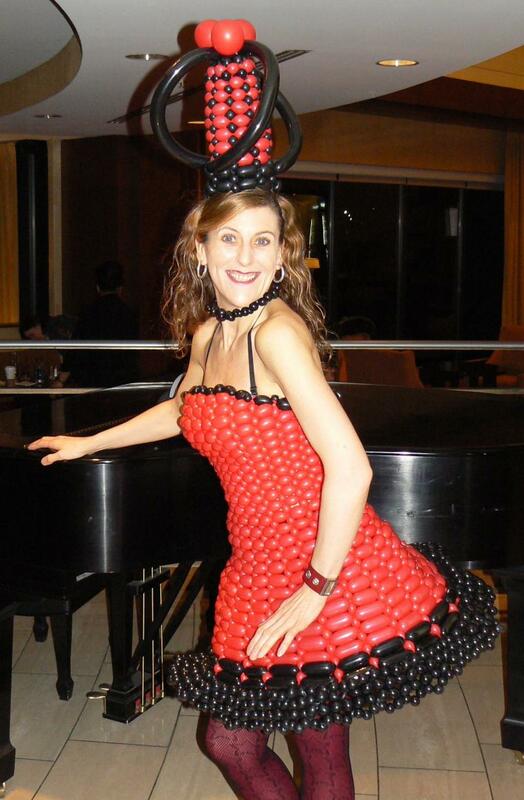 Diane is much in demand to appear at events and her shows receive rave reviews. 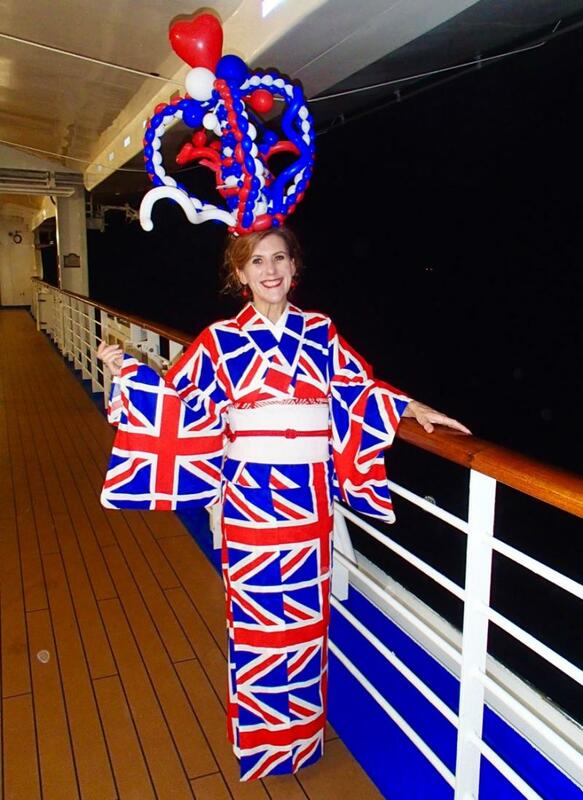 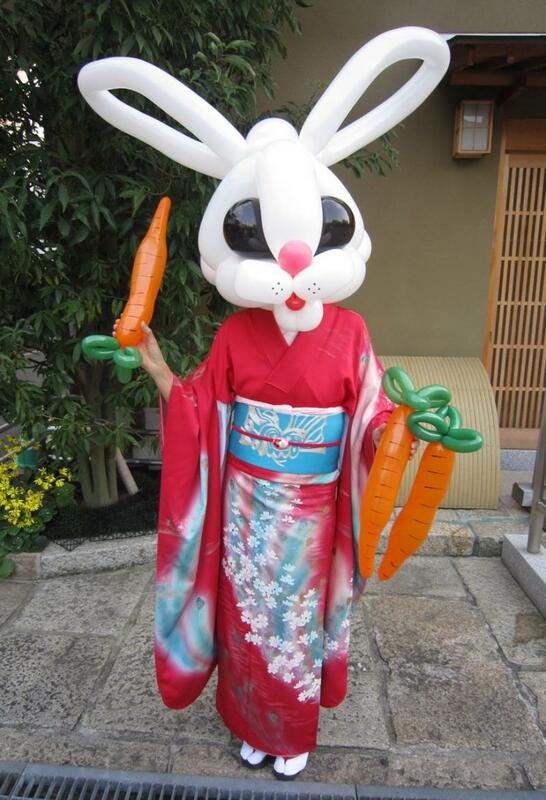 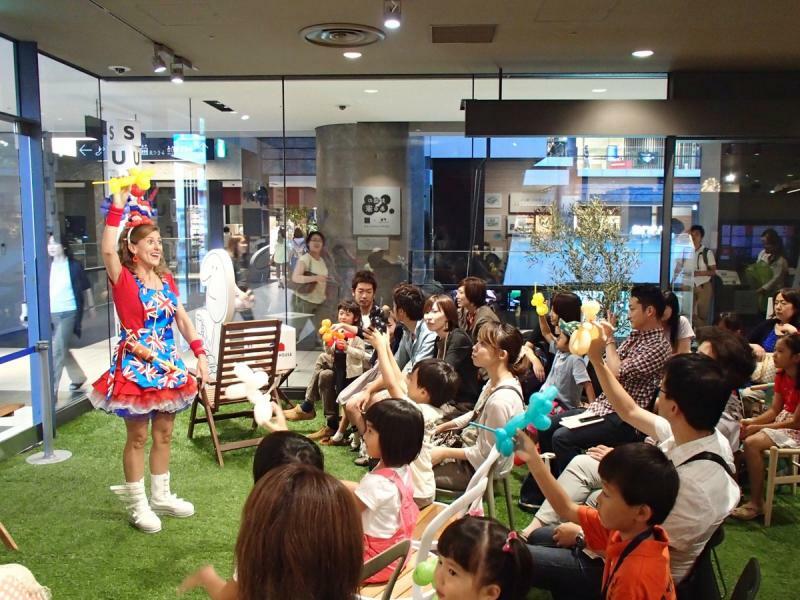 Performing in English, Japanese, Osaka dialect, or a mix of all three, she has performed at a wide variety of venues from kindergartens and schools, festivals and opening evening, to theatres and concert halls, creating a warm atmosphere of fun and laughter for children and adults alike. 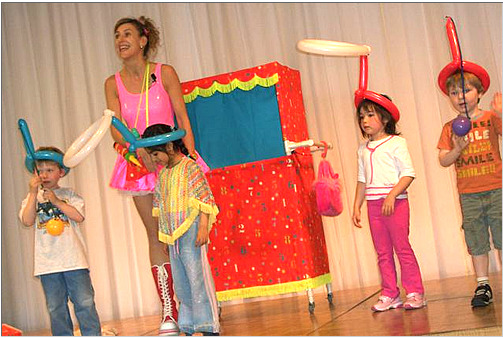 Fun for the whole family, Diane’s style of interactive entertainment works well with adults, children and people with special needs. She can tailor her show to suit your needs and your event requirements. 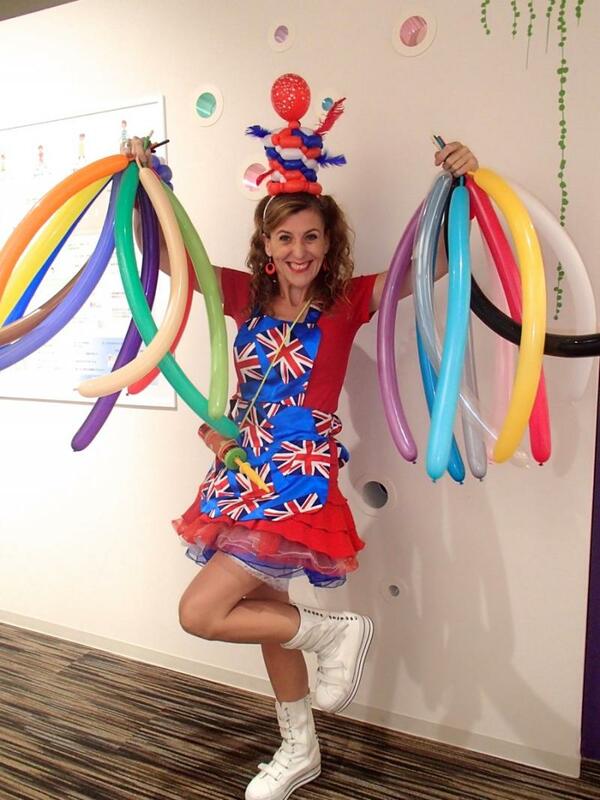 Diane also offers workshops that are a unique blend of balloons, comedy, fun and learning, either as a stand-alone event or in combination with her balloon performances. 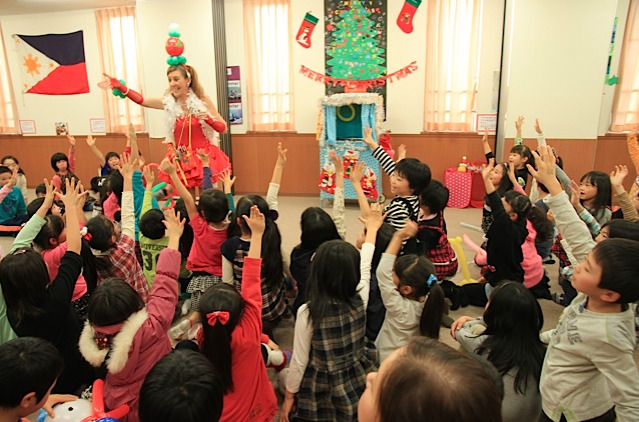 These can provide a memorable, hands-on educational experience suitable for children in kindergarten and families having fun through to business people looking for a fresh take on corporate training and team building. 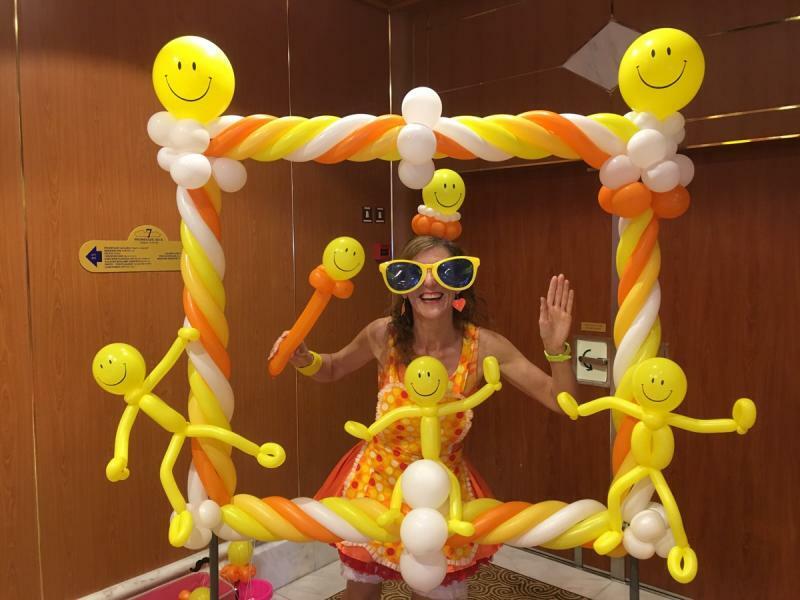 With children, a fun package of balloons, interactive games, songs, and other fun will bring even the shyest of children out of their shells and participating actively, as well as giving them the opportunity to create something to proudly take home and show family and friends. 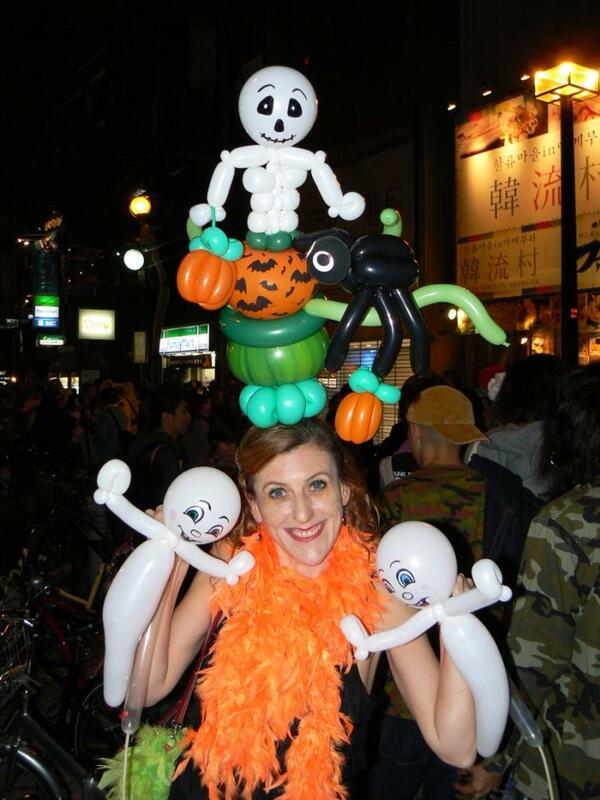 Let’s learn English using balloons! 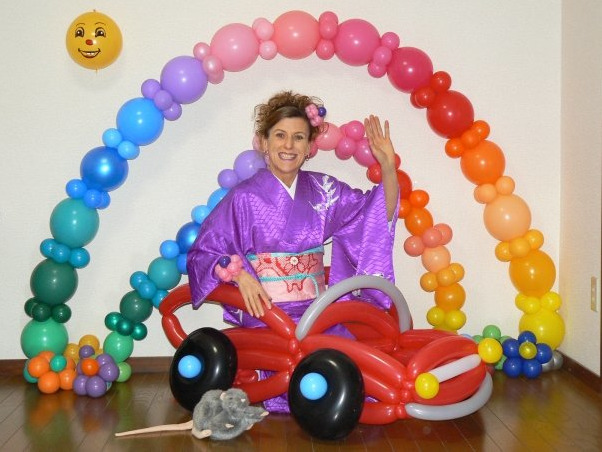 A natural extension of the fun, interactive approach of Diane’s balloon workshops, “Let’s learn English through balloons” provides a fun platform for practicing English unselfconsciously. 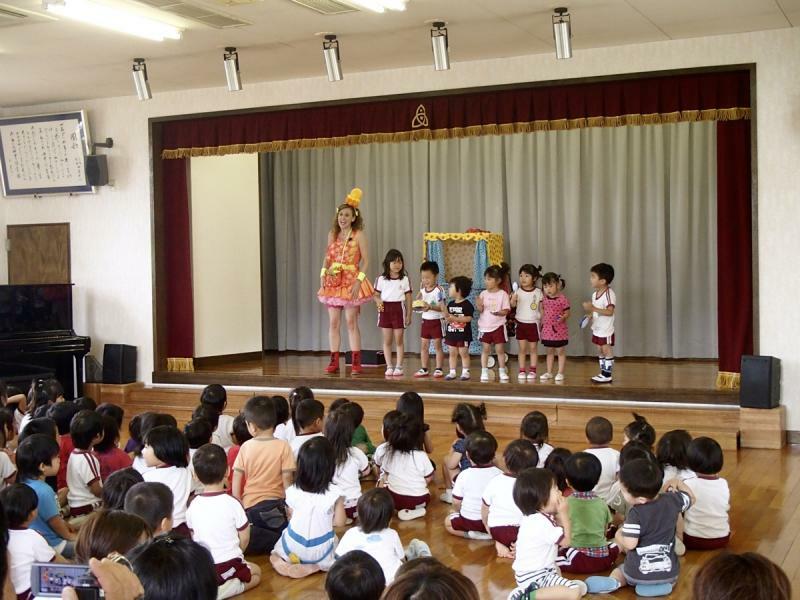 The children will laugh and learn as they use movement, mime and games to practice names, age, counting, colours, animals and actions through the medium of balloons. 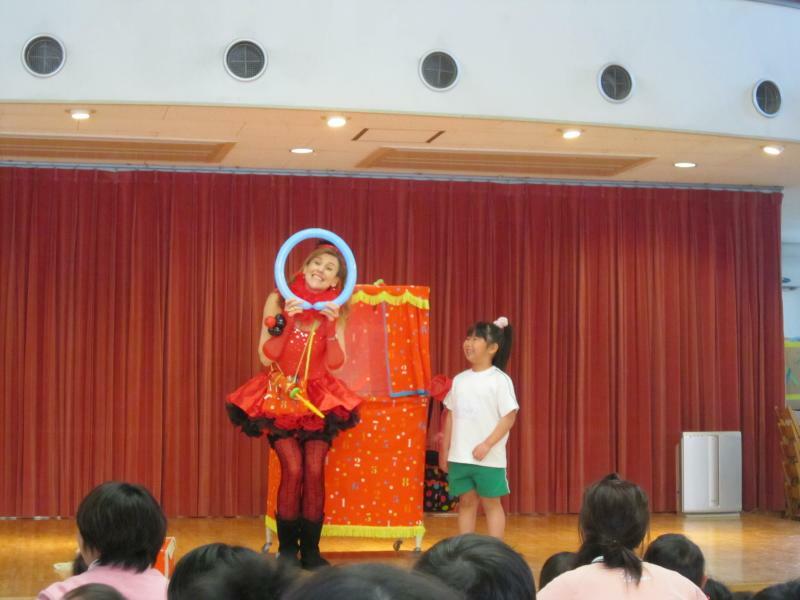 Like her other performances, Diane can customize her workshops to suit your needs and the abilities of the participants.